RSMSSB is going to conduct written examination for recruiting Candidates on 1200 Lab Assistant Vacancy. Candidates who are searching RSMSSB Lab Assistant Syllabus PDF 2018-19 should check Exam Scheme/ Syllabus from here. A syllabus is Very Important Part of Exam and with the help of RSMSSB Lab Asst Syllabus, 2018 Students will prepare in a better way for Exam. We are providing a direct link to download RSMSSB Prayogshala Sahayak Syllabus PDF, which is given below. Rajasthan Subordinate and Ministerial Services Selection Board (RSMSSB) has published notification for 1200 Lab Assistant Vacancy. Exam Will be held in the month of September 2018 tentatively. Candidates who are preparing for RSMSSB Exam should download RSMSSB Lab Assistant Syllabus PDF from here. 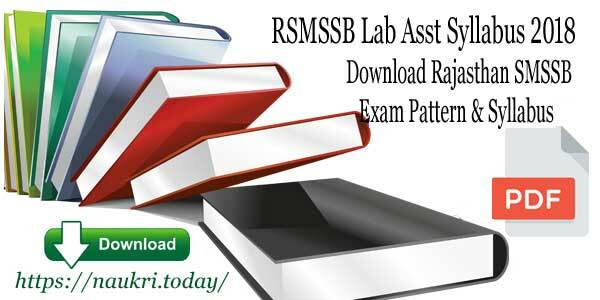 Also, Check RSMSSB Lab Assistant Exam Scheme & Exam Pattern from here. Fresh Update as on 12.01.2019: Dear Participants, Rajasthan SMSSB will conduct written examination for Lab Assistant Posts. Candidates should check here exam pattern and selection criteria for examination. Here we provided you topic wise RSMSSB Lab Assistant Syllabus 2019 form here. 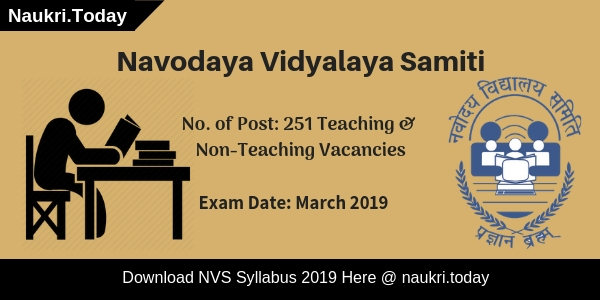 Fresh Update as on 05.01.2019: Applicants who have filled application forms for RSMSSB Lab Assistant Jobs Must download syllabus from here. 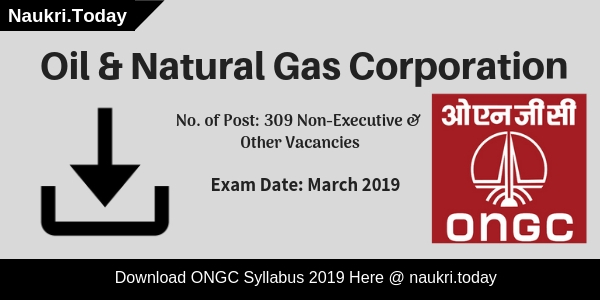 Department has declared examination date. RSMSSB Exam will going to take place on 03.02.2019. Fresh Update as on 12.07.2018: Dear Applicants, Rajasthan SMSSB Lab Assistant Syllabus is available for you. Here you can download topic wise and subject wise RSMSSB Lab Assistant Exam Syllabus. So download here in below section. Fresh Update as on 30.06.2018: Rajasthan SMSSB Lab Assistant Application Form is available from today. Applicants who want to apply for RSMSSB Lab Assistant Vacancy must need exam syllabus for exam preparation. So download Rajasthan SMSSB Lab Assistant Syllabus PDF from here. Here we also provide exam pattern and full exam syllabus. Fresh Update as on 25.06.2018: Hello Friends, Rajasthan SMSSB Lab Assistant Exam will take place in the month of July/ August 2018. Participants may start preparing for RSMSSB Lab Assistant Exam 2018. Here we available you RSMSSB Lab Assistant Syllabus 2018 for better preparation. How I Download RSMSSB Lab Assistant Syllabus 2019? RSMSSB Will conduct written examination for recruiting qualified candidates on Lab Assistant Vacancy. An examination will be objective type in nature of 300 Marks. Candidates will get minimum 40 % marks for qualifying in Written Examination. The Examination will be divided into two parts. Candidates can check RSMSSB Lab Assistant Exam Scheme which is shown below. RSMSSB Assistant Exam includes General Knowledge of Rajasthan, Physics, Chemistry & Biology as major subjects. This paper is conducted for 300 marks. If you want to get this job, you should make the preparation good compared to the others. So the candidates are suggested to check the RSMSSB Lab Asst Exam Syllabus for all subjects. Because RSMSSB Lab Assistant Exam Syllabus is very important for the applicants preparing seriously for the Lab Assistant Exam. Candidates can also download RSMSSB Lab Assistant Exam Syllabus PDF from here. Those applicants who want to download RSMSSB Lab Assistant Exam Syllabus in Hindi should also Check the below link. Read the given below instruction “How I download RSMSSB Lab Asst Syllabus 2018 in PDF”. Follow the instruction to Download Prayogshala Sahayak Exam Syllabus. First of all log on to the official website. After that click on the advertisement link. Now click on Lab Asst Vacancy Section. After that click on “Download RSMSSB Lab Assistant Syllabus 2018” link. Download & Save the syllabus for future use. Conclusion: RSMSSB Lab Assistant Syllabus 2018 in PDF for 1200 Post. Candidates can Download RSMSSB Lab Asst Syllabus & Exam Scheme from here. Here we provided you topic wise syllabus for each subject for RSMSSB Lab Assistant Exam 2018.